Grieving emergency personnel in the Mexico City suburb of Tultepec carried the caskets of four comrades through the town's streets Friday as authorities investigated whether an attempt to douse burning fireworks with water may have triggered further blasts that killed a total of 24 people. 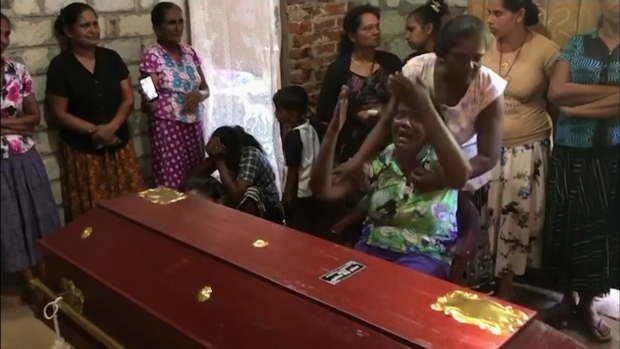 The four were among seven firefighters, police officers and civil defense workers killed when they rushed to the scene of a first blast, only to be felled by three subsequent explosions. Fifty-four people were injured, 41 of whom remain hospitalized. The town of Tultepec, just north of the capital in Mexico State, is a place notorious for deadly fireworks accidents, with at least 70 people killed there in less than two years. "That is the life of a fireworks producer," said Angel Guerrero, a resident who has relatives who work in the dangerous trade. "That's how they make their living. Explosion after explosion, they'll keep on doing the same thing." State of Mexico Gov. Alfredo del Mazo said authorities would mount a special campaign to punish clandestine workshops, train workers and improve their workspaces. But such promises have been heard before. And a state official told local media that investigators are looking at whether first responders may have contributed to the second wave of blasts by trying to extinguish the initial blaze with water, which reacts with some chemicals used in fireworks. "Federal and state prosecutors are carrying out investigations to determine whether the water poured to extinguish the first fire ... could have reacted with some element like magnesium to propagate the fire, rather than extinguish it," said Alejandro Ozuna, the State of Mexico interior secretary. A fireman's blast-damaged water truck was found at the scene of the blast. Whatever happened, it was clear the first responders tried their best and made an enormous sacrifice. "They wanted to save lives without knowing that the same thing was going to happen to them," said Teresa Gonzalez, who heard the nearby blasts that began at 9:40 a.m.
Tultepec, a municipality of about 130,000 people, is famed for small workshops that produce many of the fireworks used on holidays throughout the region. Guadalupe Romero, another town resident, stopped short of saying the town's fireworks industry should be shut down, because he knows so many of the area's families depend on it. But he said that between a nearby propane gas plant and the fireworks production, "We are sitting on a time bomb." "Yes, we're scared," said the 64-year-old merchant. Luis Felipe Puente, head of Mexico's civil defense agency, said the first workshop that exploded was "clandestine." But the four workshops destroyed in the blast were located within an area specifically marked out for the production of pyrotechnics. State and federal officials had promised, after earlier disasters, to impose safety restrictions in such areas. Along the road were brightly painted buildings labelled with "danger" warnings. There was even a guard shack inside a shabby chain link fence. The first shop that blew up apparently didn't have the required permits issued by the Mexican army to store explosive materials, but that's the case for many of the family-based businesses. 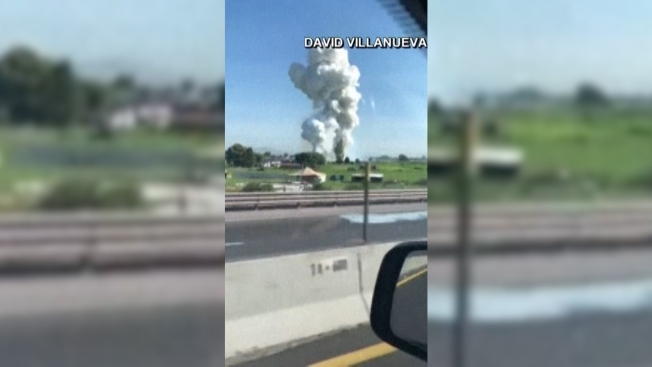 Video images showed a massive plume of smoke rising after the explosion. Journalists arriving later found wrecked buildings and scorched ground amid a rural patch of modest homes and small farm plots. Helicopters took the wounded to several local hospitals, and more than 300 police were dispatched to the scene. Fiercely protective of their artisanal industry, locals resist regulation, and on Thursday some assaulted journalists recording images of the site, destroying their video memory cards. Safety measures at such workshops and markets have been a matter of constant debate in Mexico, where festivals big and small feature rockets and bombs often at close range of spectators, and individuals set off firecrackers in the streets. 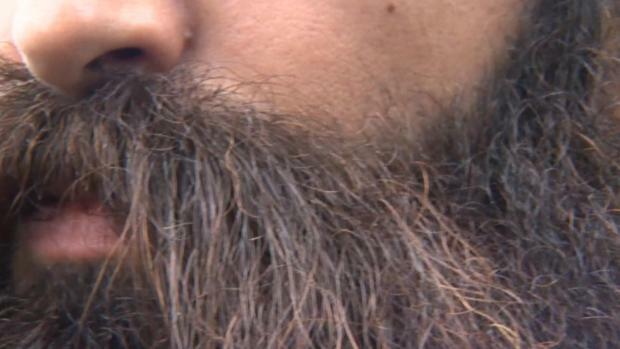 "We cannot continue to allow this kind of situation," Puente told the Milenio news network. At least 35 people were killed in a Dec. 20, 2016, explosion that leveled a fireworks market crowded with holiday shoppers, and government officials then promised to rebuild it better than ever. Since then there have been several other explosions at fireworks shops around Tultepec. An accident In March 2017 killed four people. Another last month killed seven and injured eight. 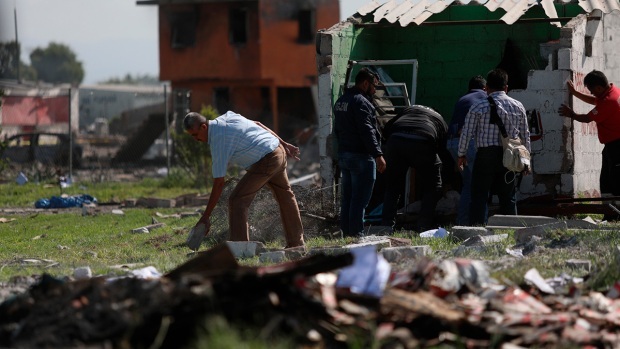 Deadly fireworks explosions have occurred repeatedly elsewhere in Mexico. A 1988, a fireworks blast in Mexico City's enormous La Merced market killed at least 68, prompting a generally ignored prohibition on the sale of fireworks in the city. In 1999, 63 people died when an explosion of illegally stored fireworks destroyed part of the city of Celaya in Guanajuato state. A blast at a market in the Gulf coast city of Veracruz killed 29 people in 2002. In 2013, a rocket struck a truck loaded with fireworks for a religious procession in Tlaxcala state, killing 17. Fourteen people died — including 11 children — when a firecracker landed on pyrotechnics being stored for a religious ceremony in the Puebla state town of San Isidro in May 2017.